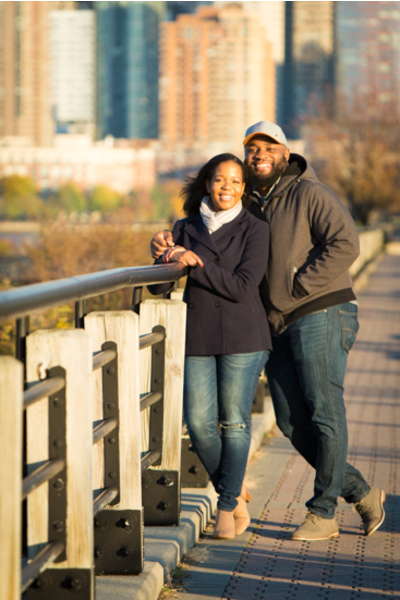 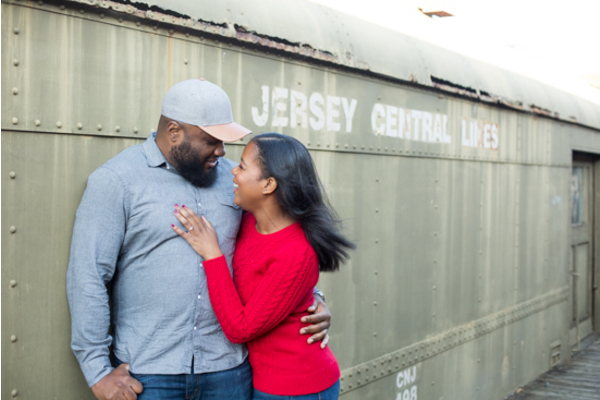 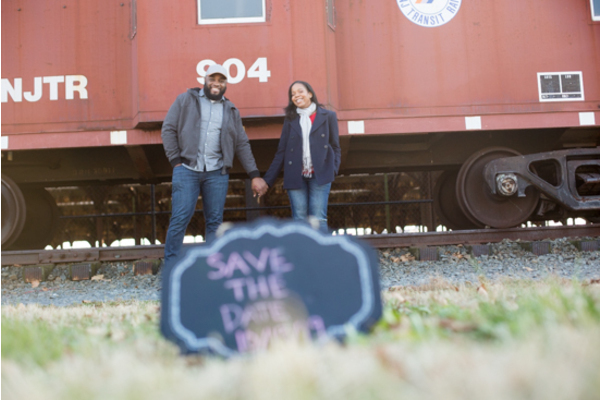 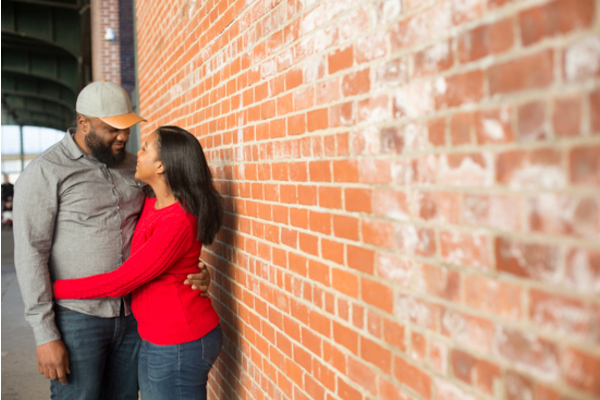 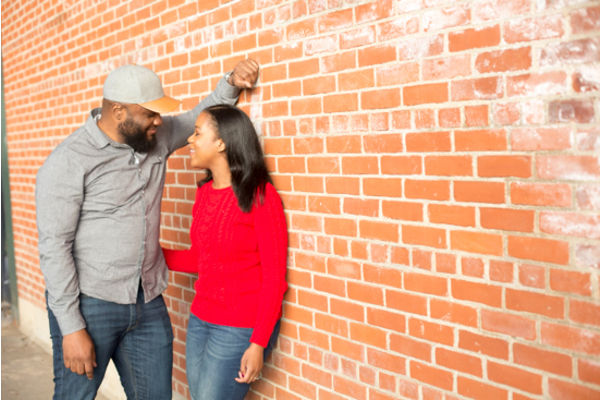 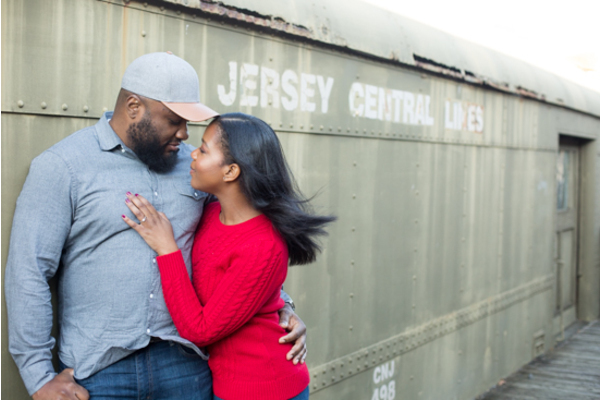 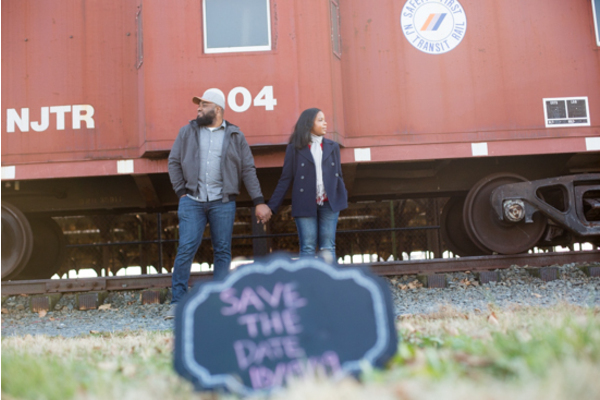 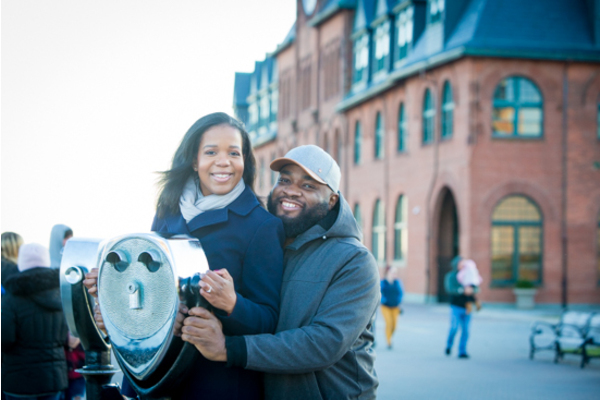 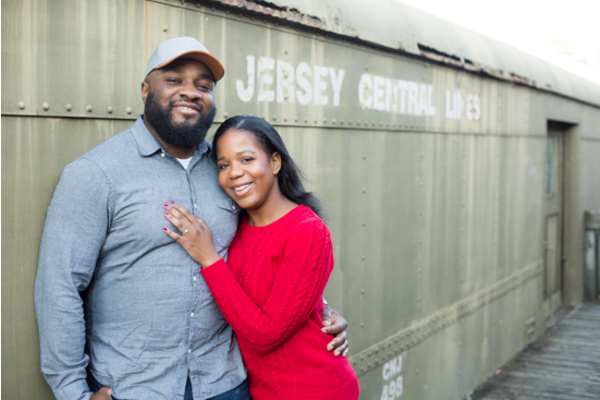 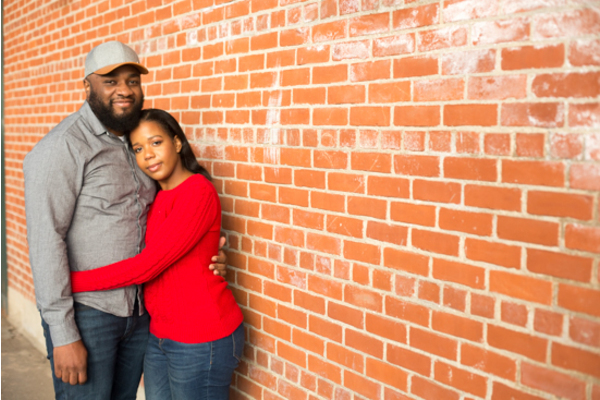 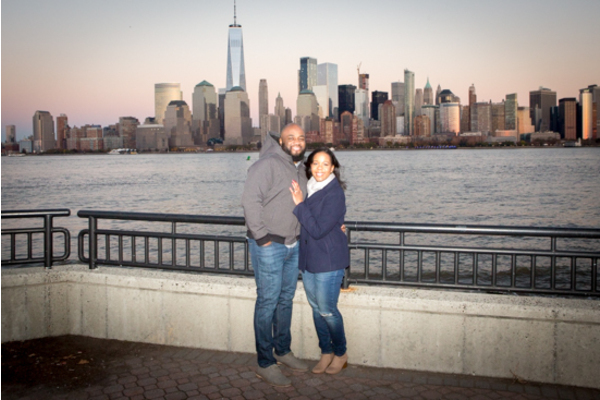 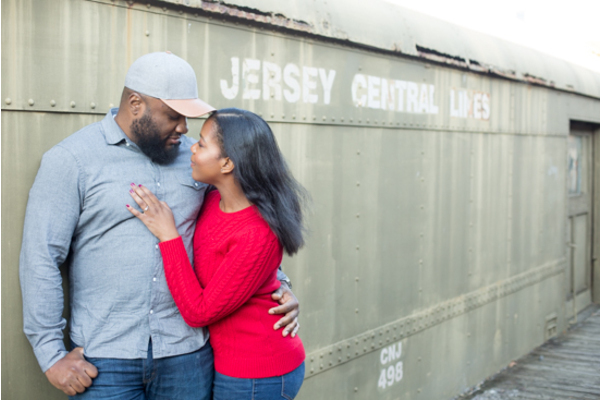 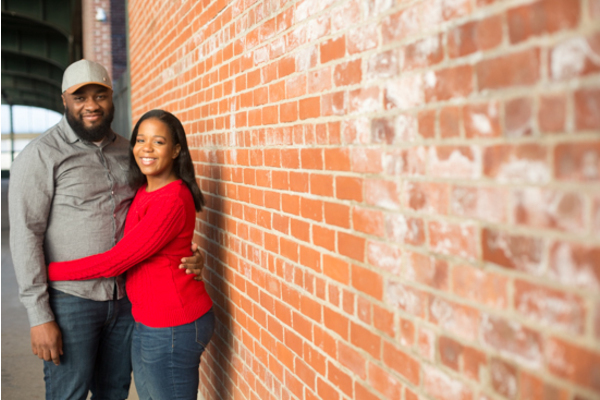 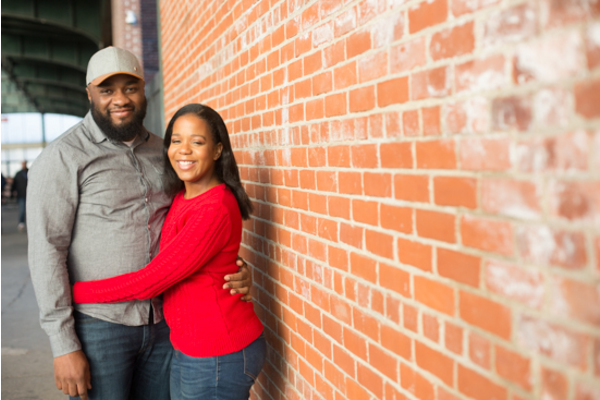 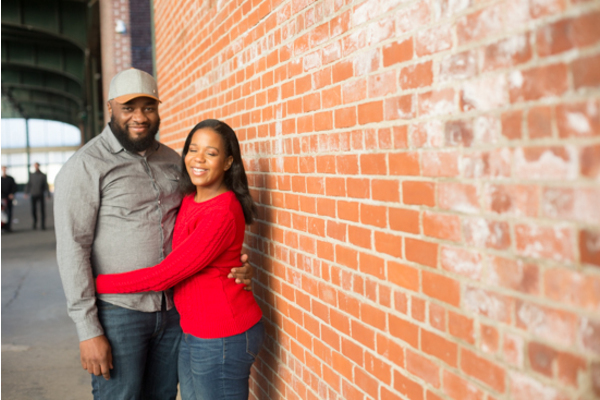 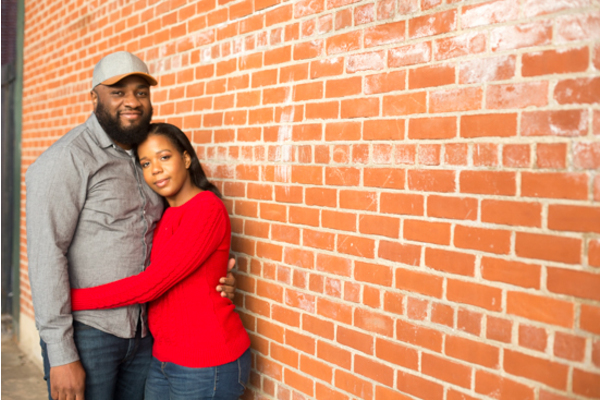 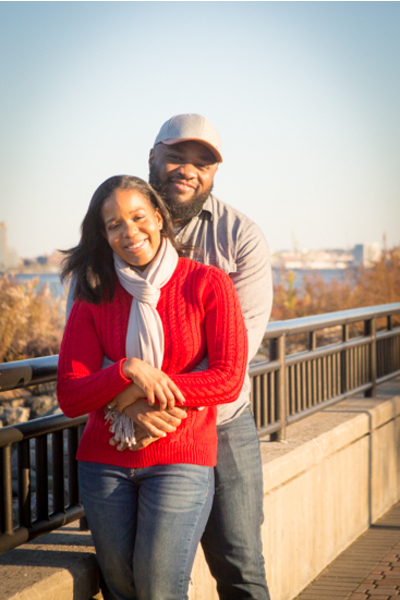 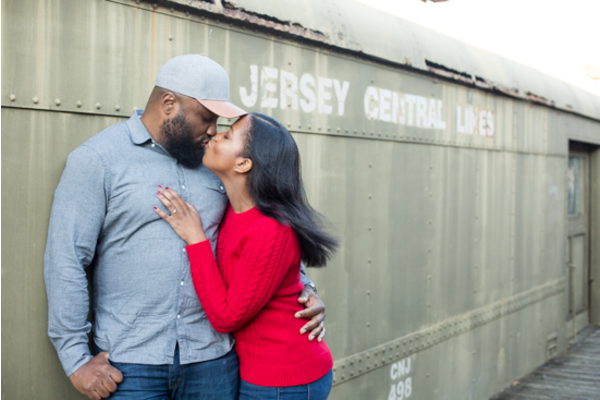 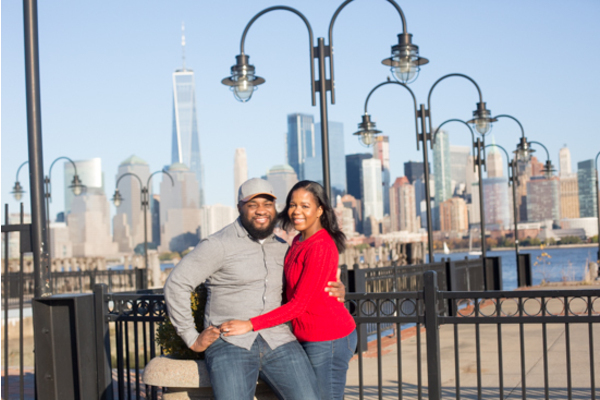 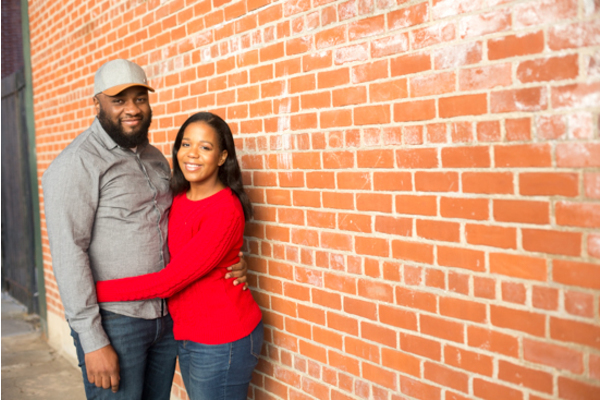 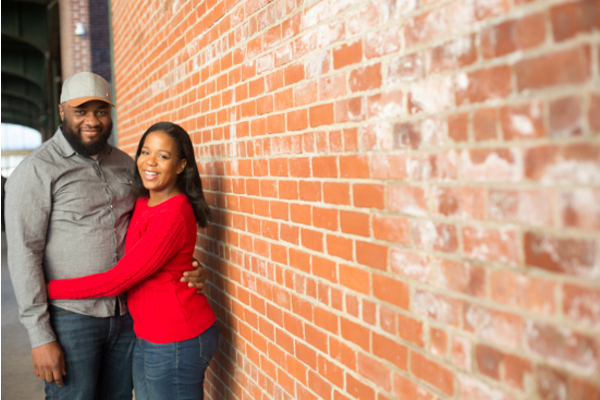 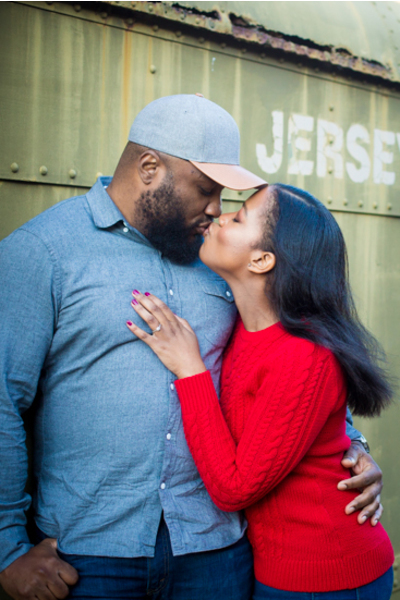 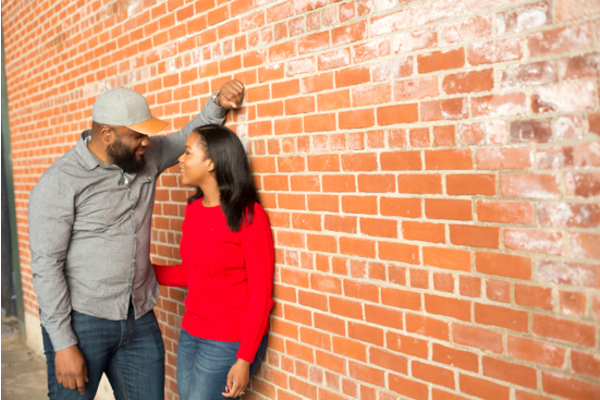 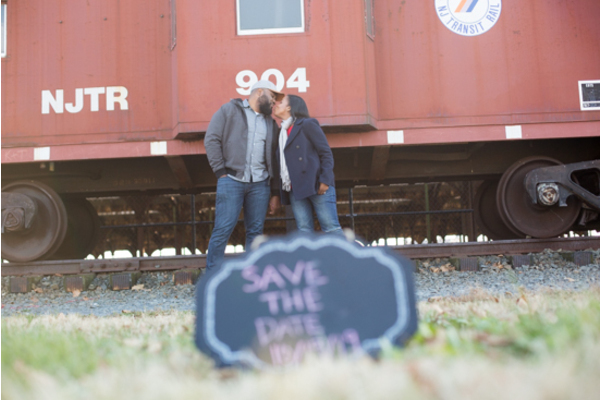 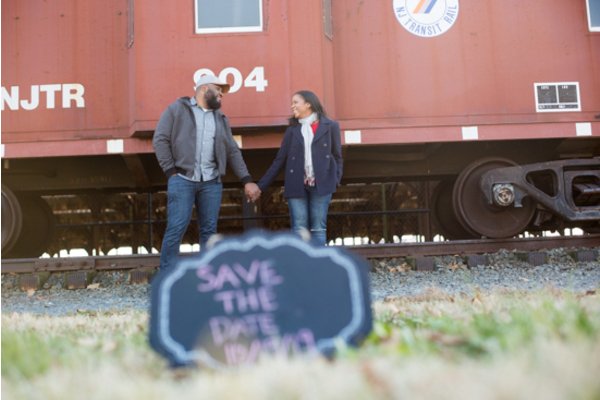 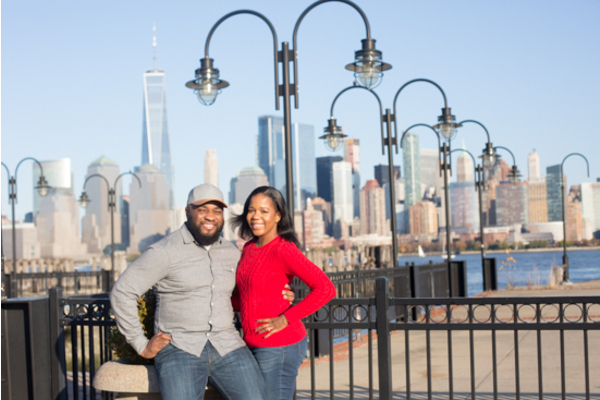 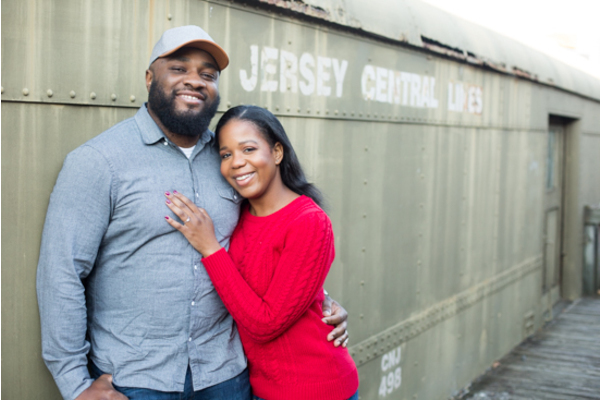 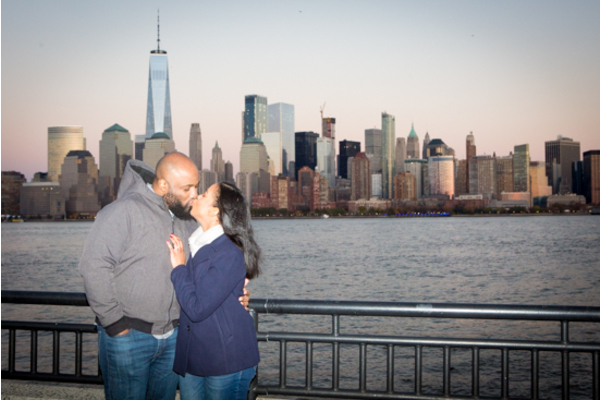 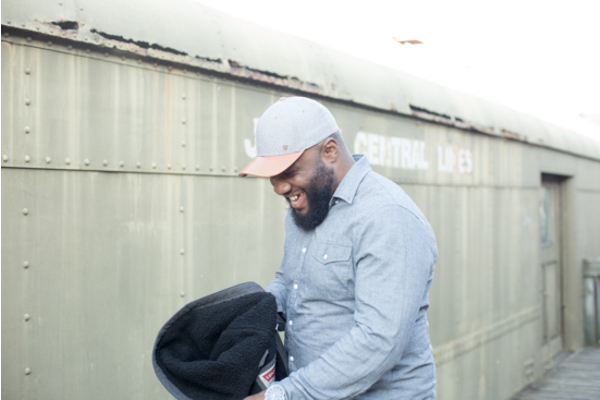 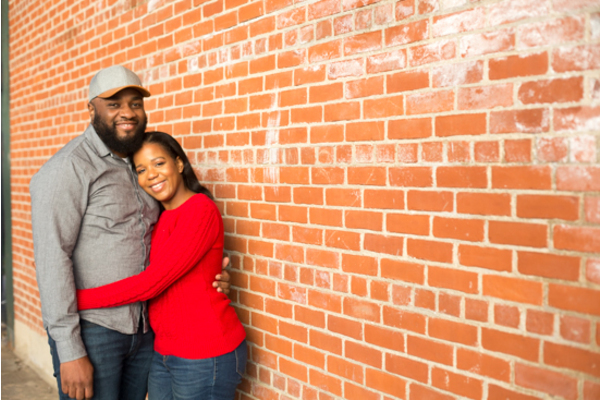 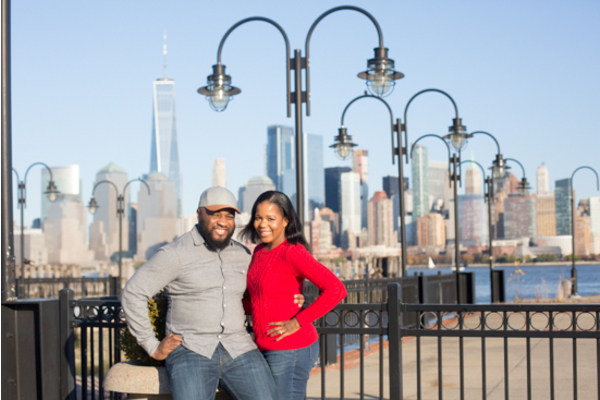 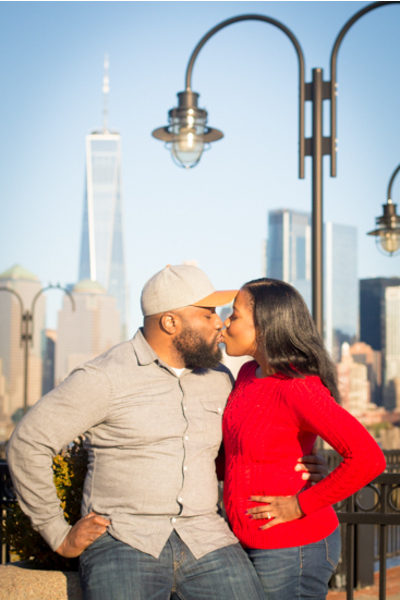 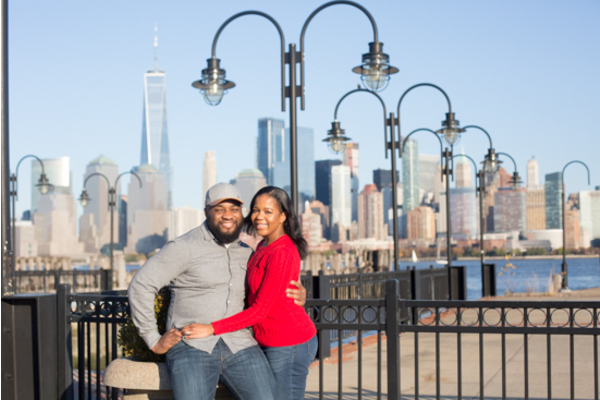 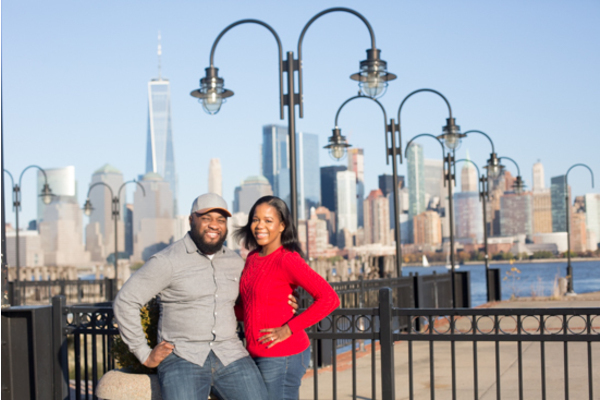 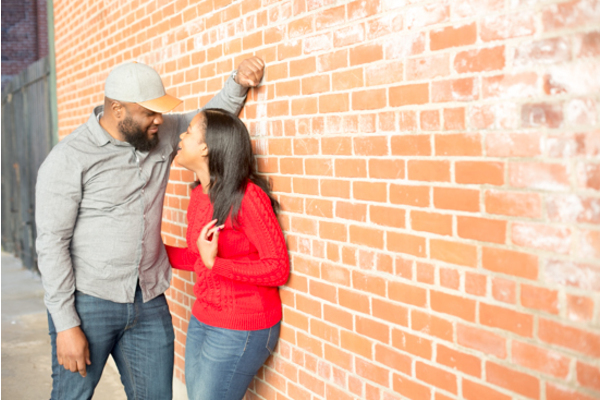 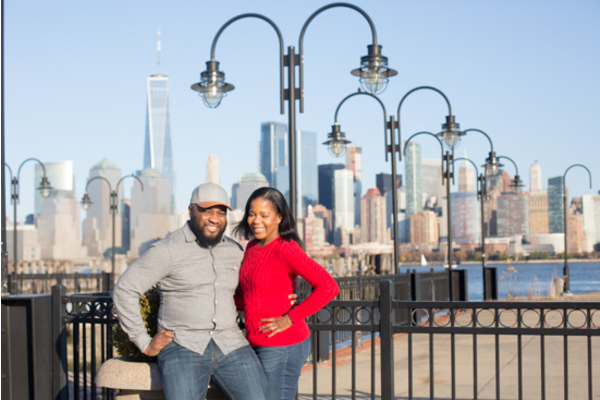 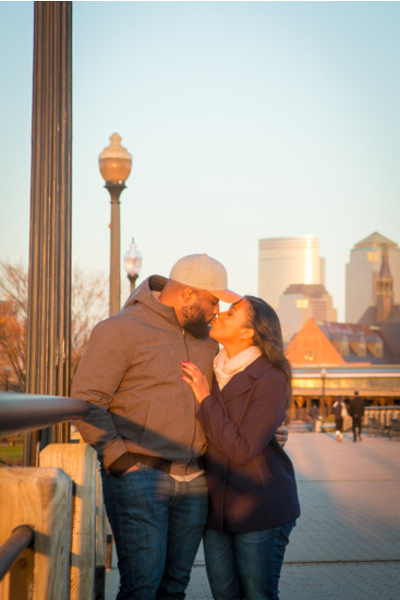 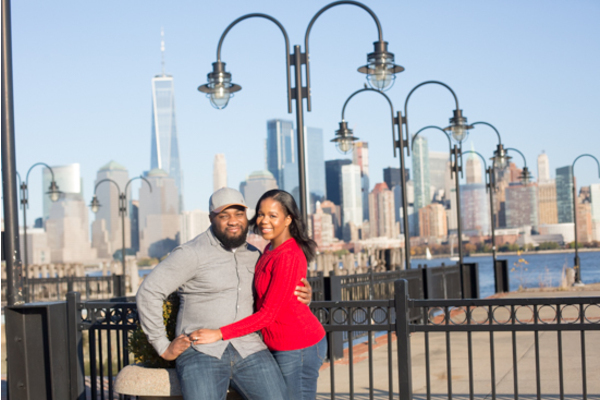 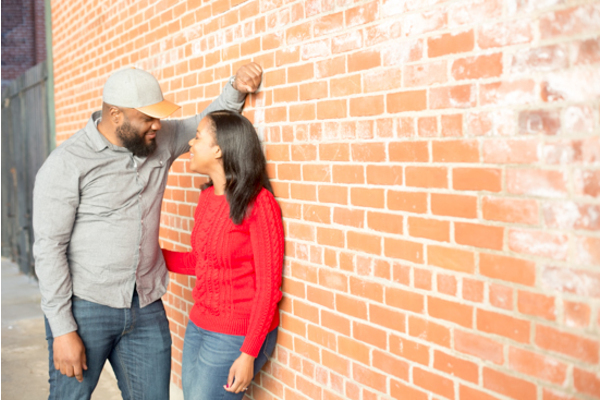 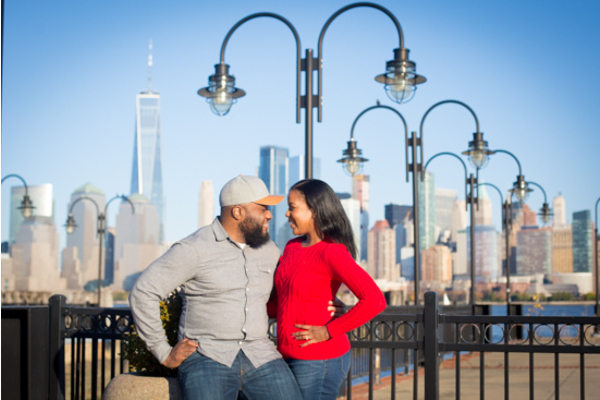 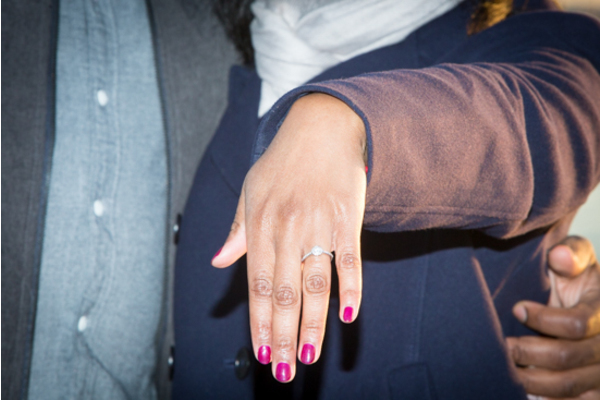 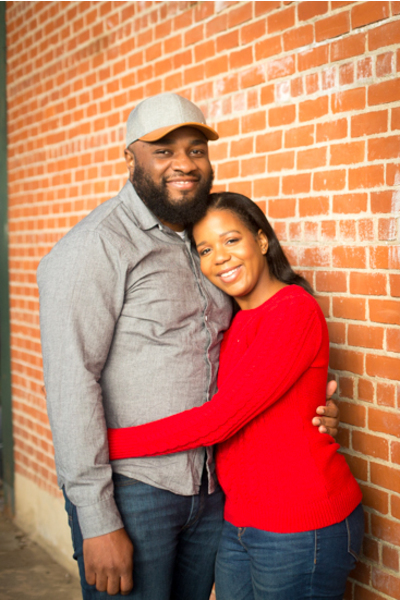 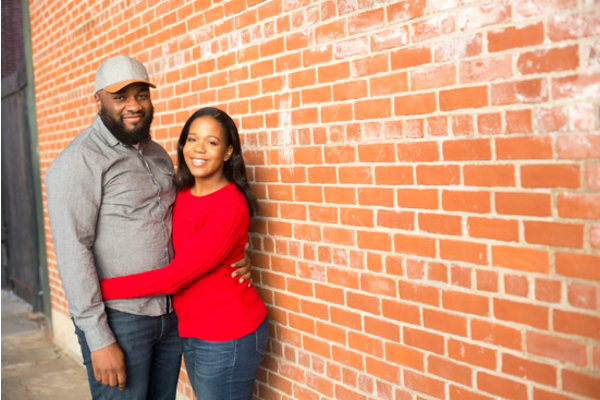 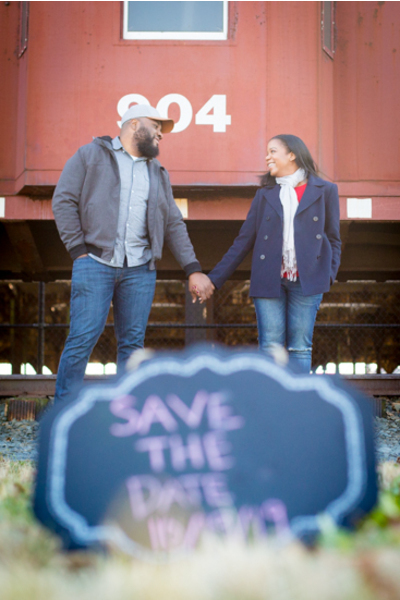 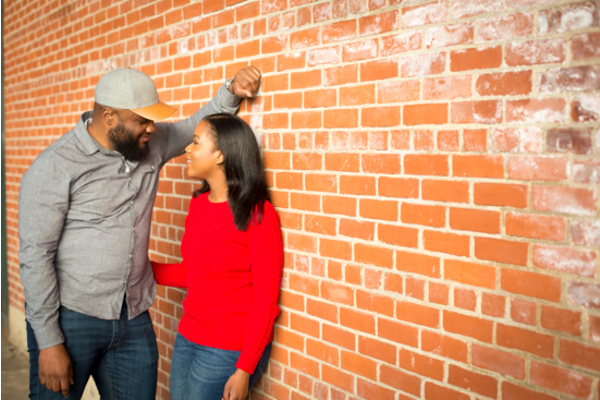 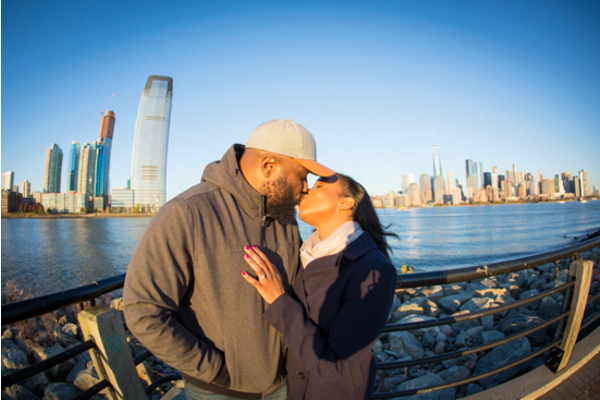 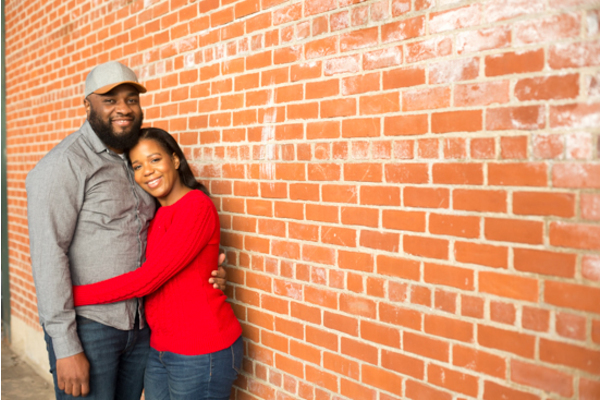 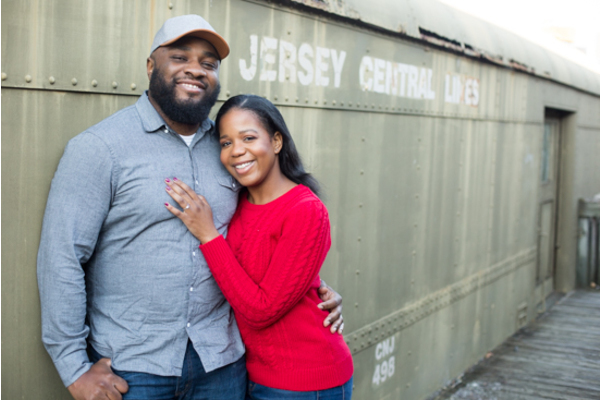 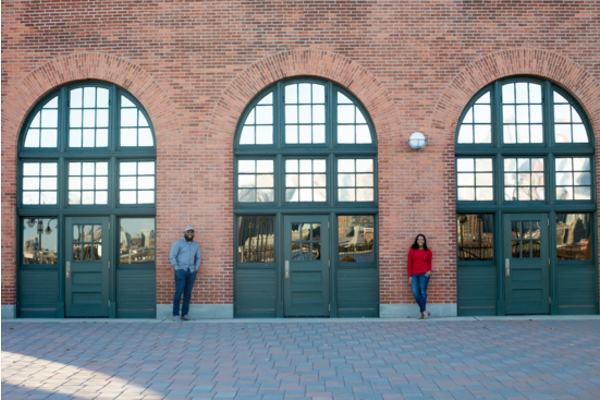 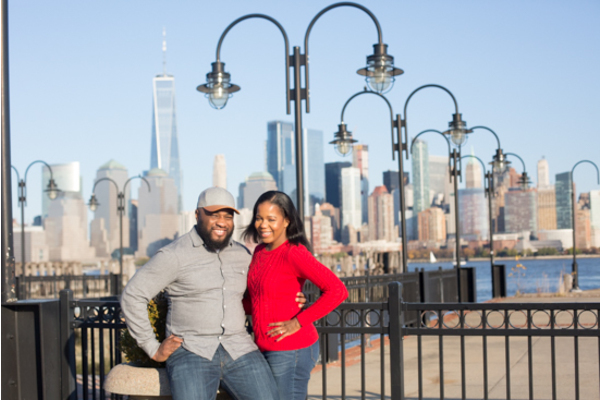 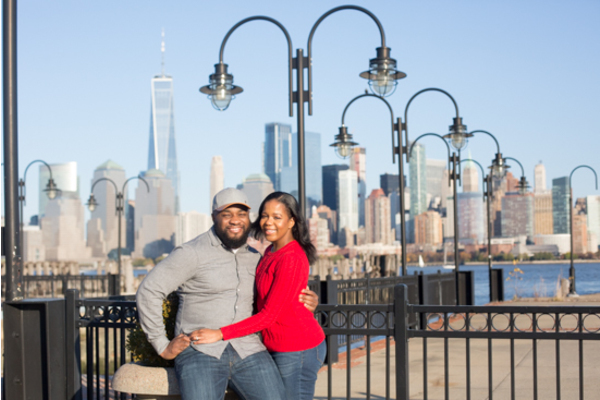 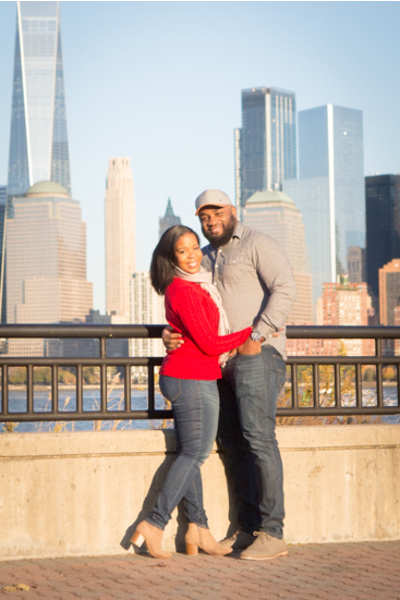 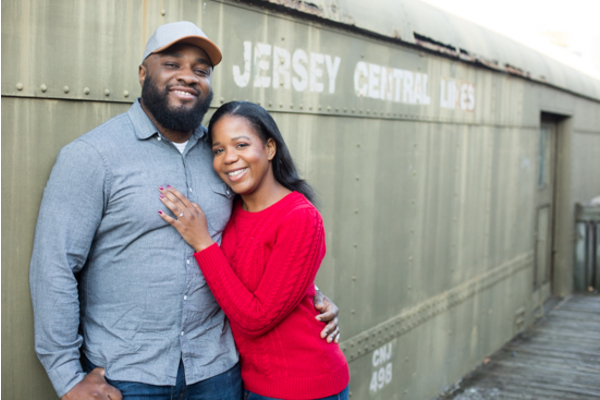 Congratulations to Ashley and Placide on their recent engagement! 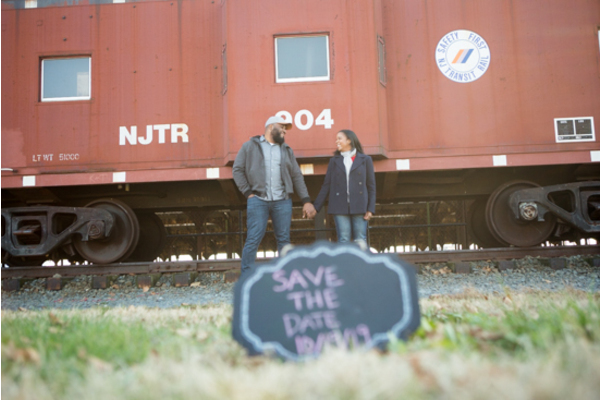 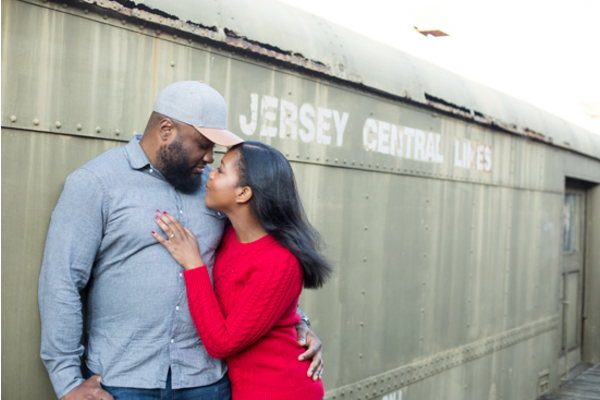 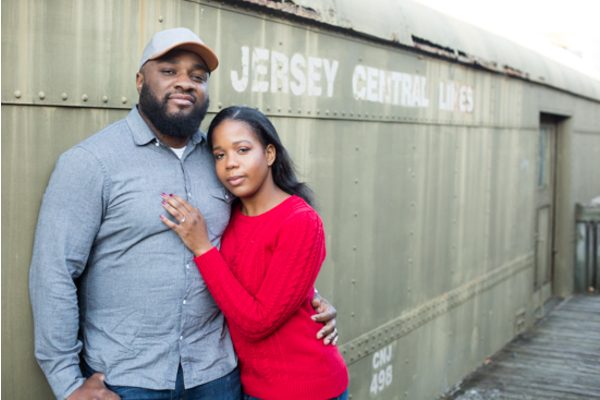 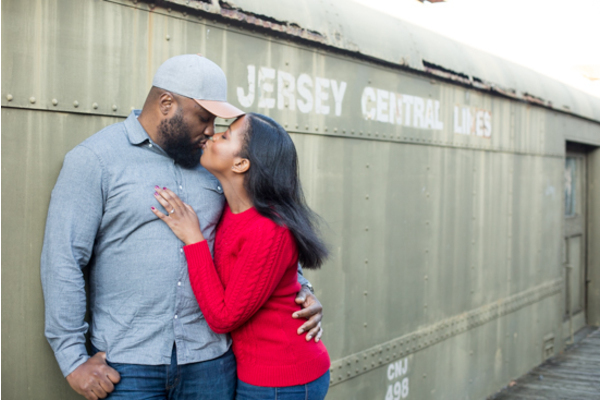 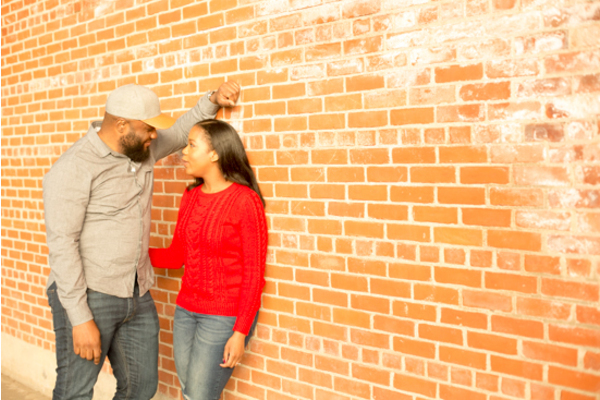 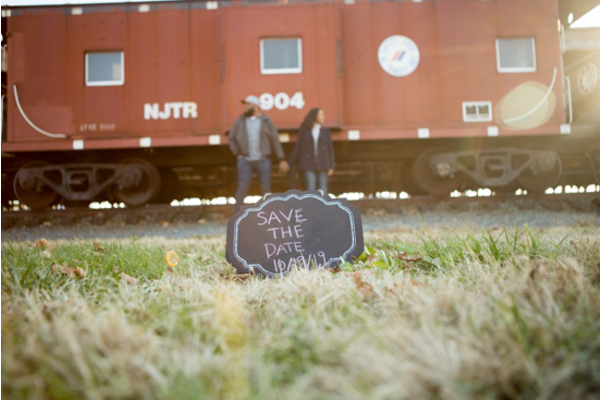 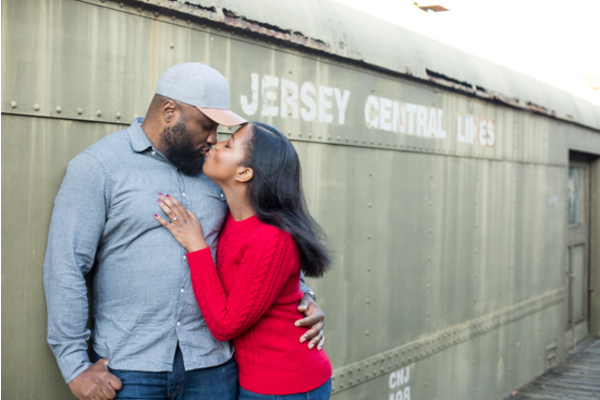 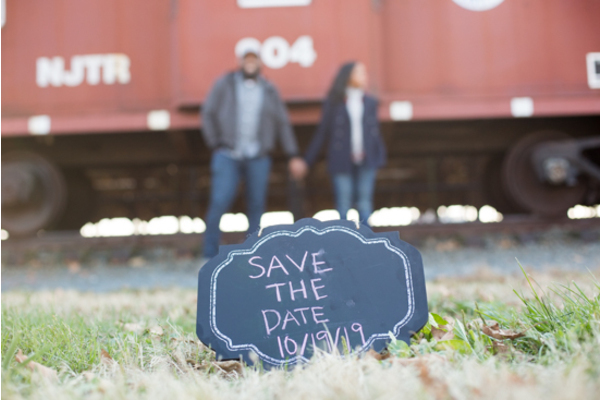 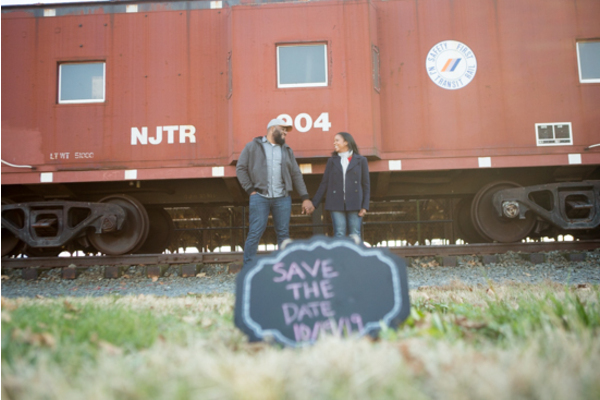 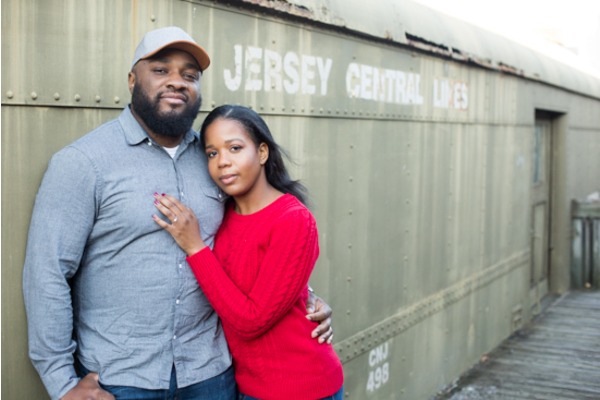 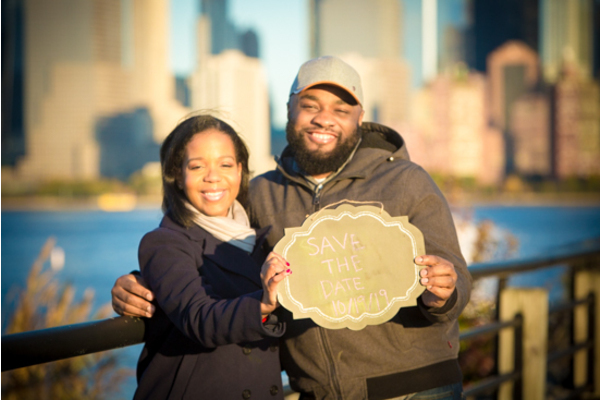 This October, they will officially tie the knot at The Manor in West Orange, NJ. While we wait for their autumn wedding day to arrive, let’s get an inside look at their gorgeous engagement photos! 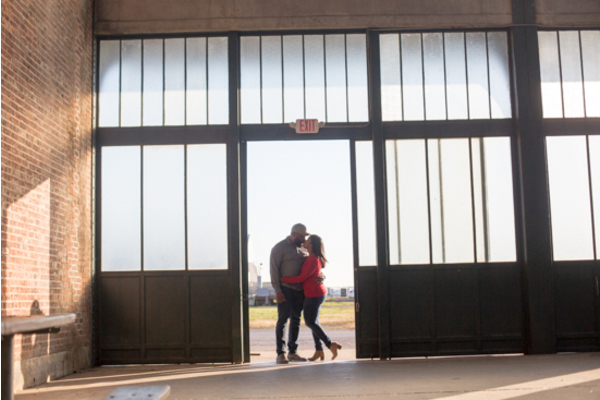 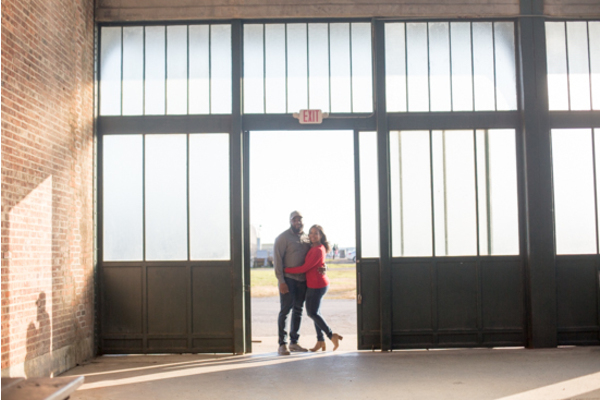 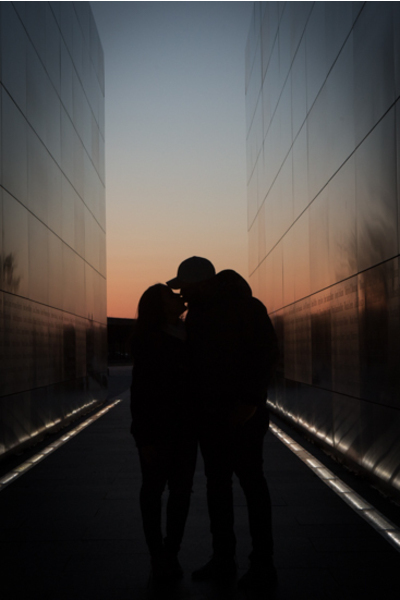 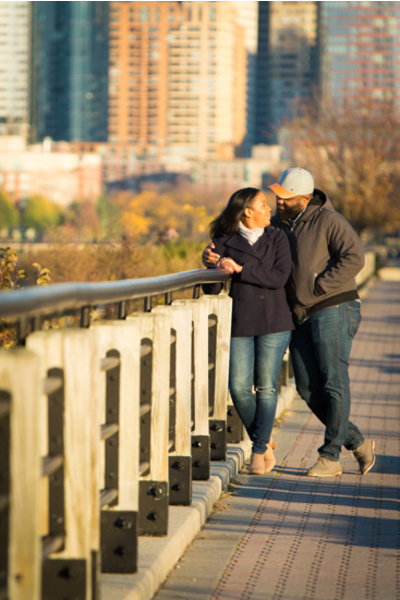 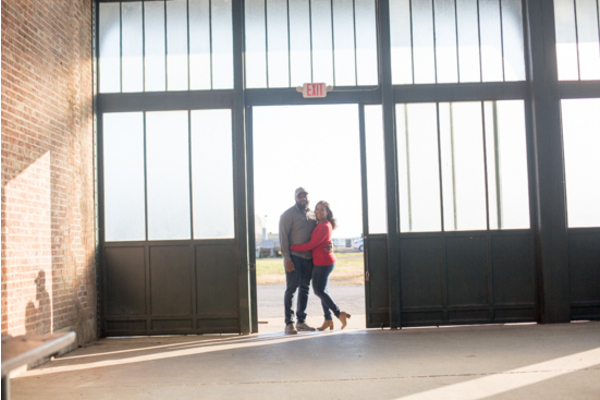 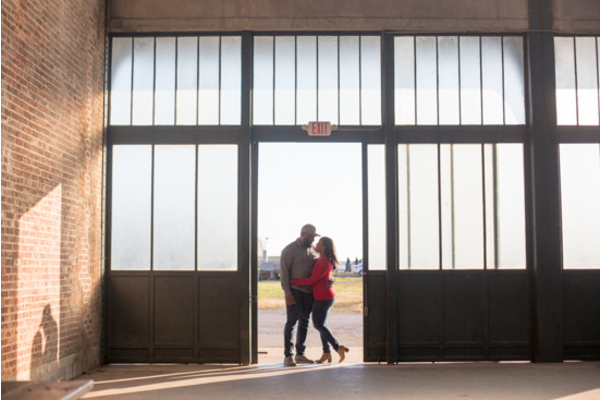 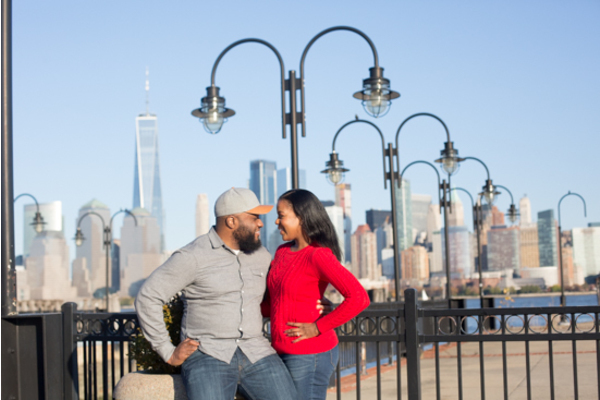 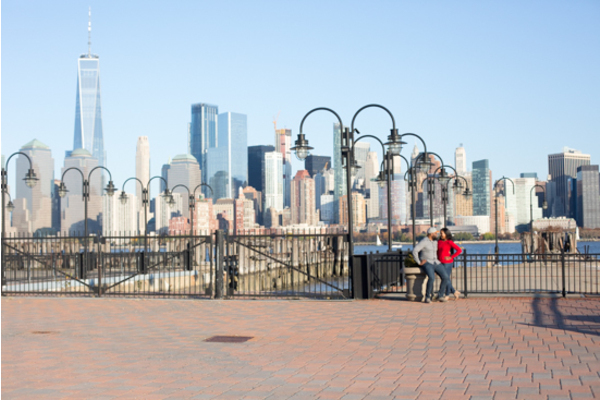 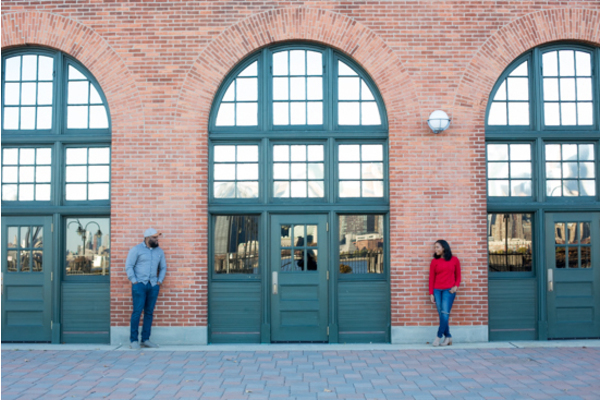 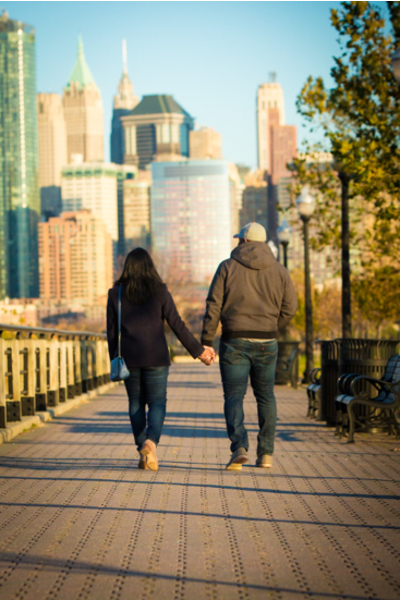 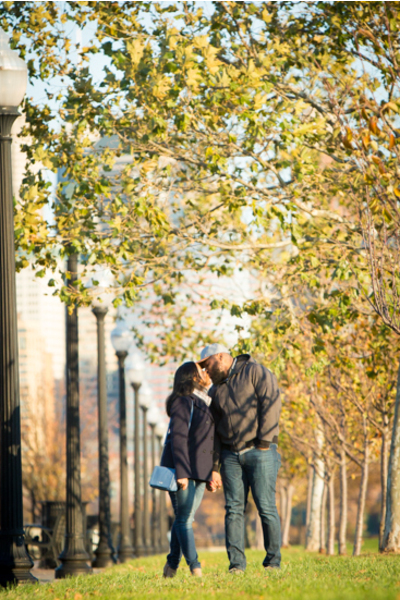 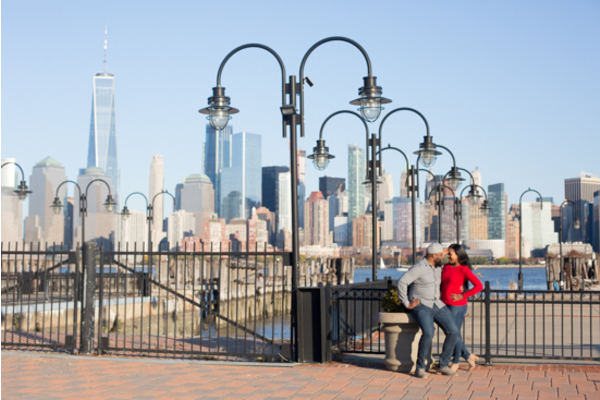 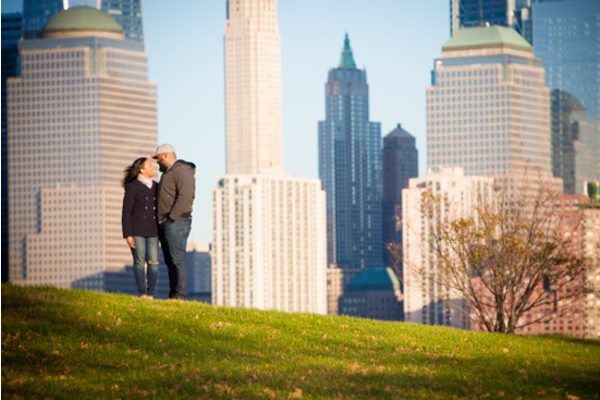 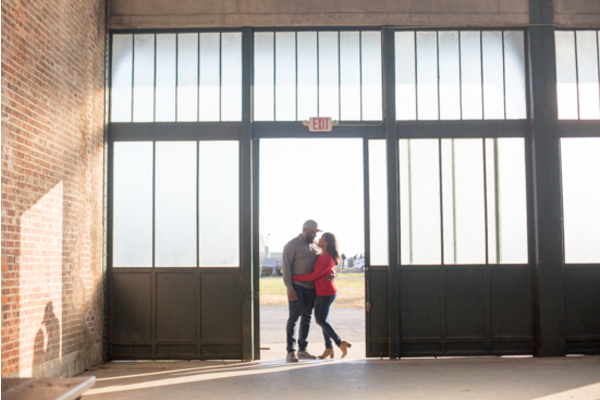 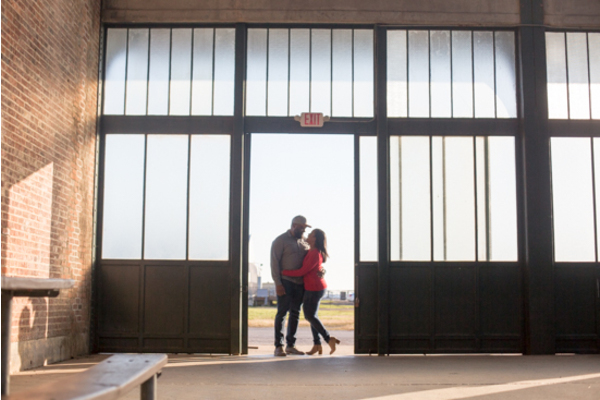 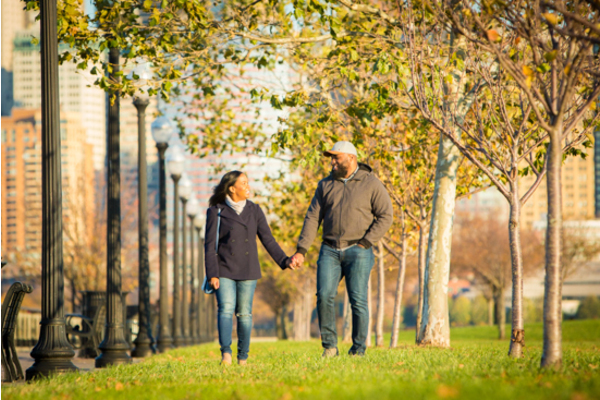 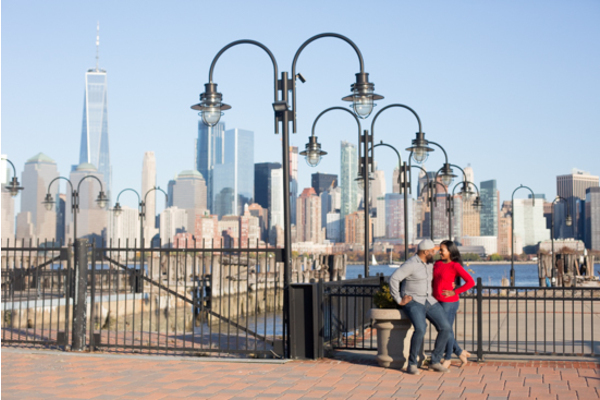 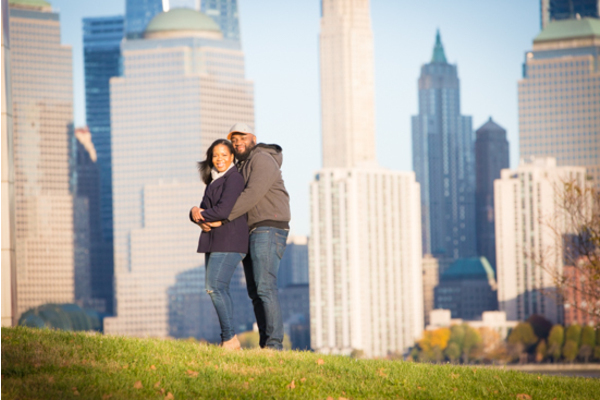 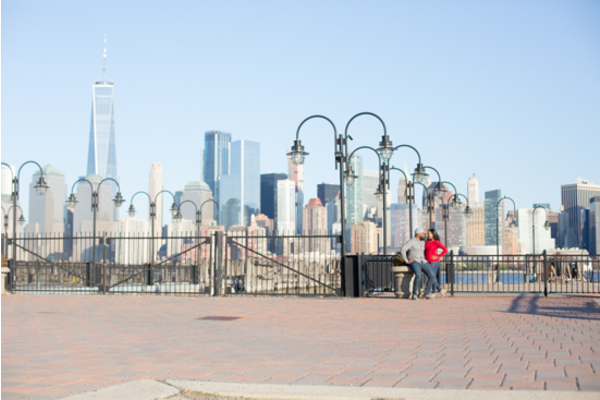 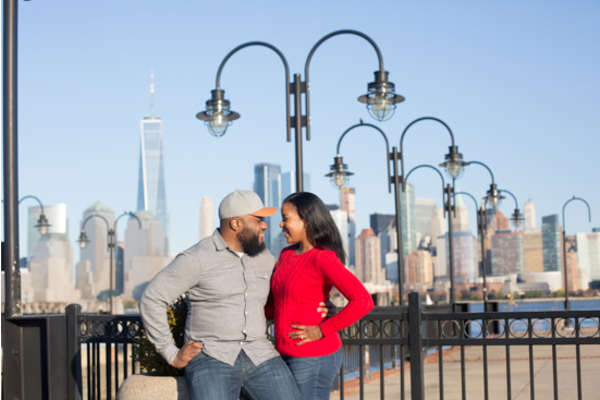 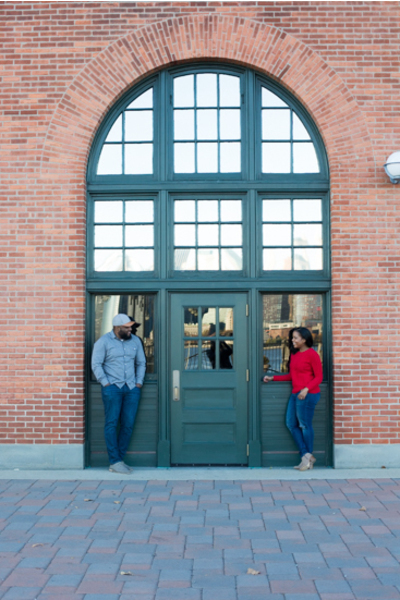 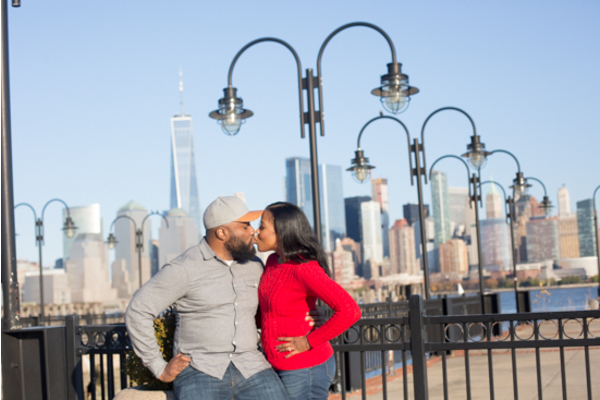 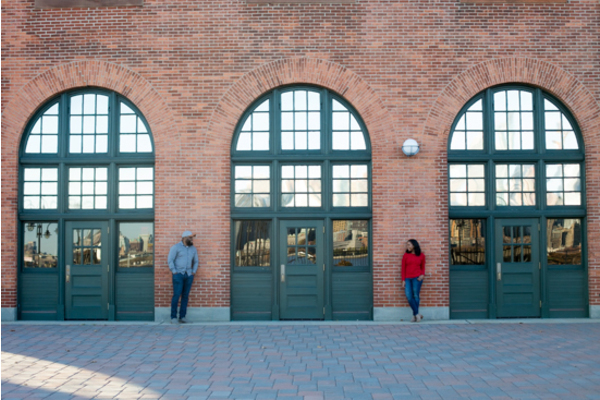 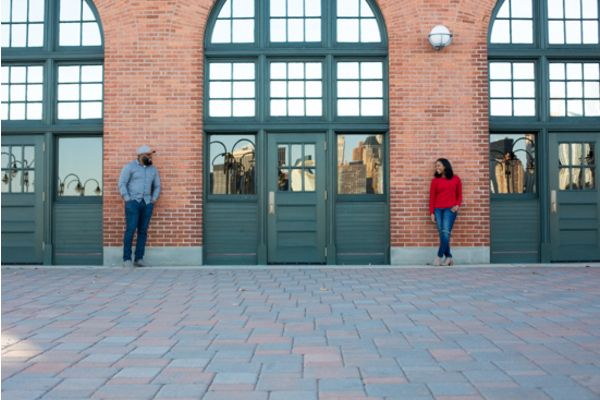 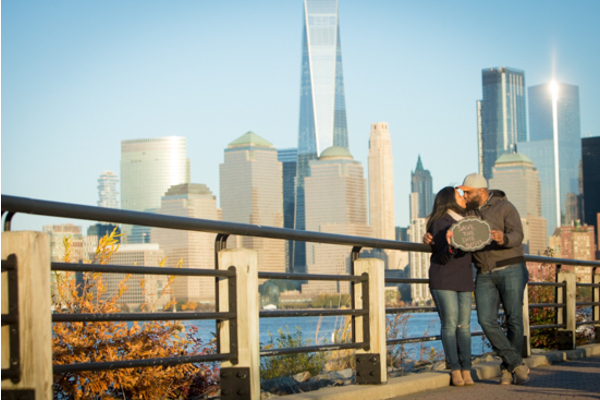 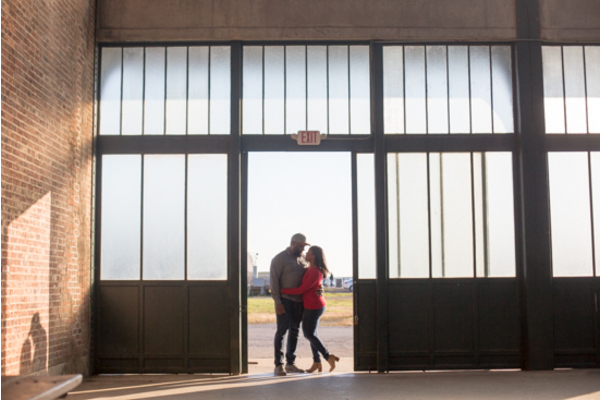 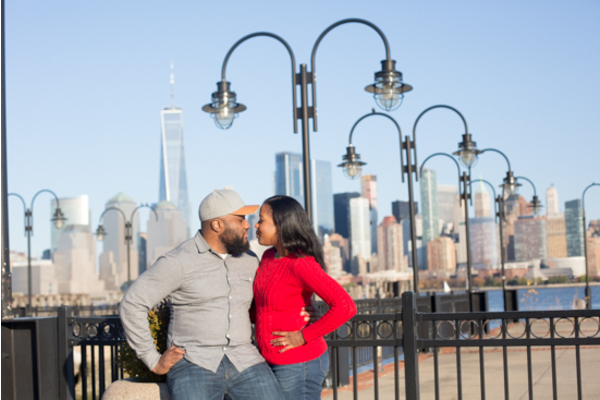 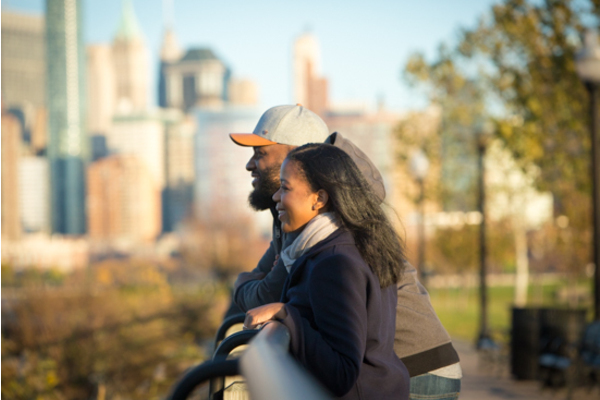 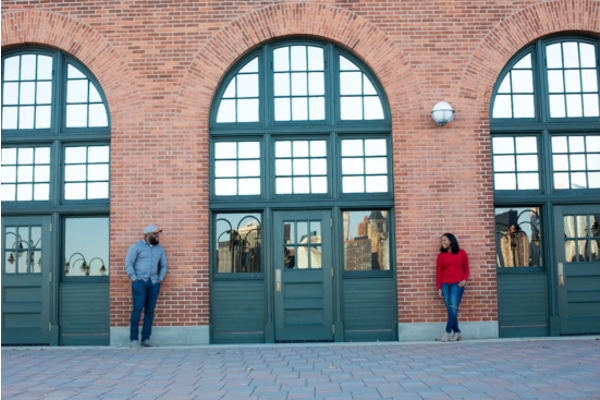 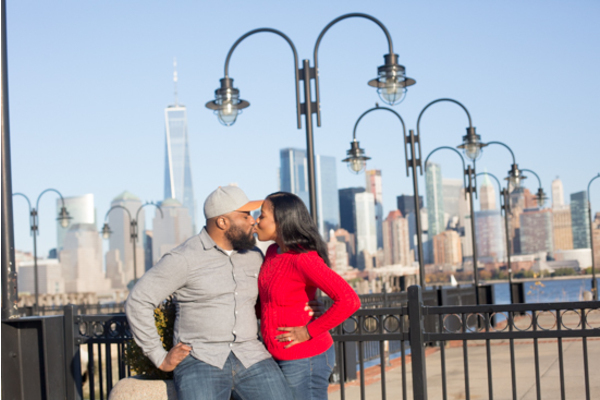 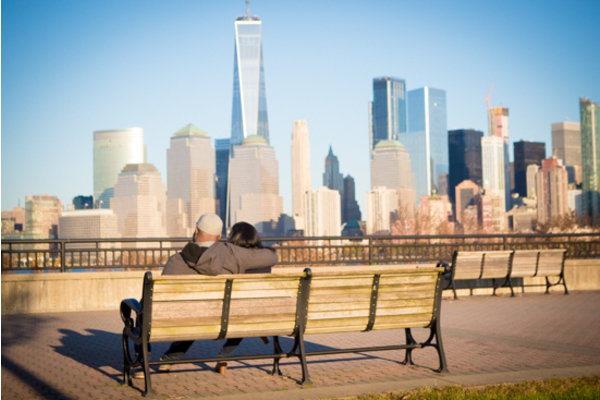 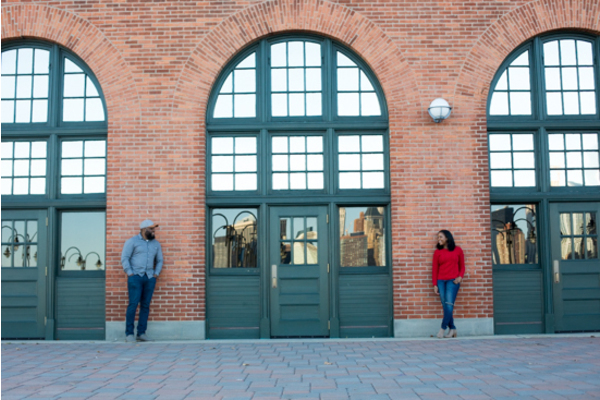 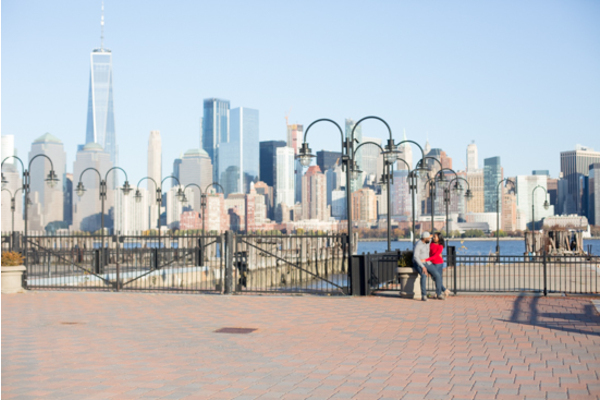 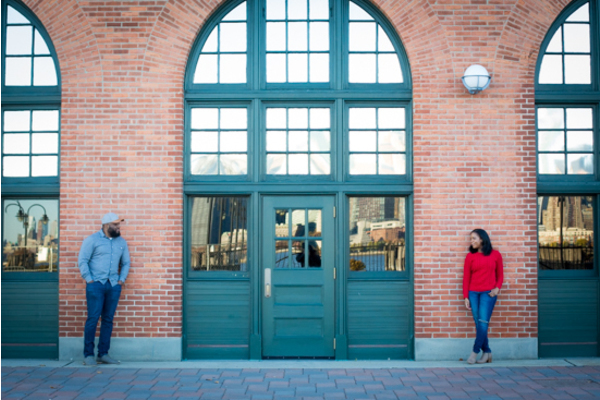 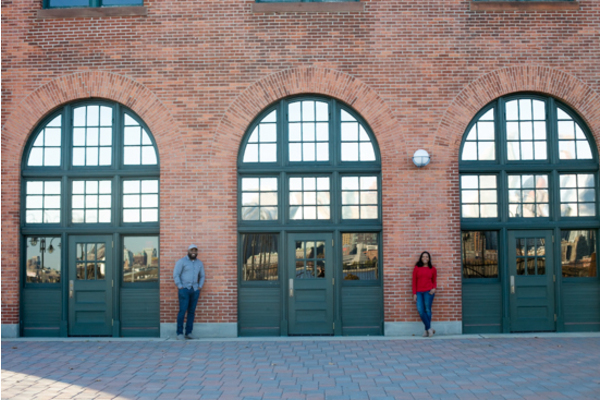 This cute couple’s engagement session was so picturesque with the beautiful city as their background! 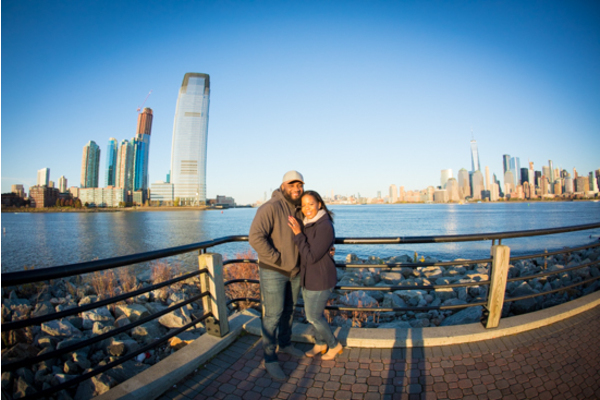 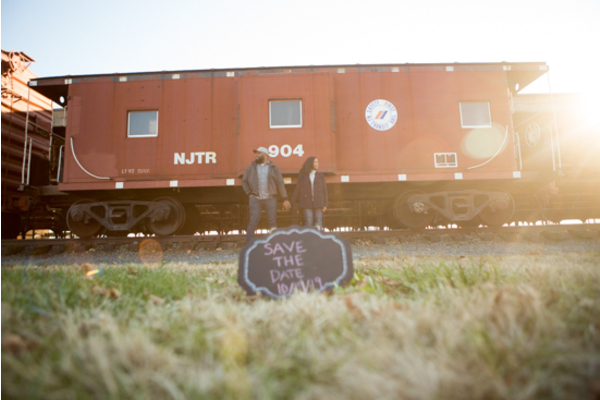 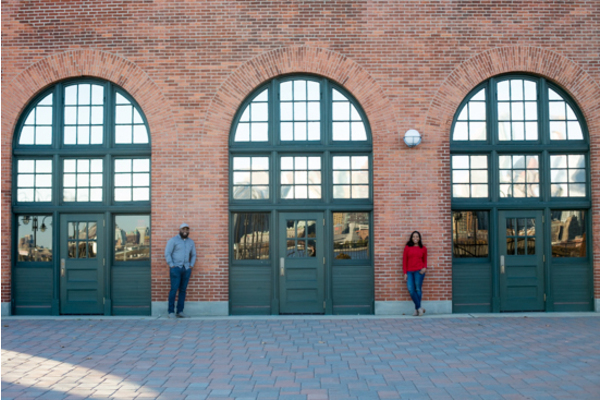 Our NJ Wedding Photographer artistically photographed the one-of-a-kind scenery surrounding Ashley and Placide. 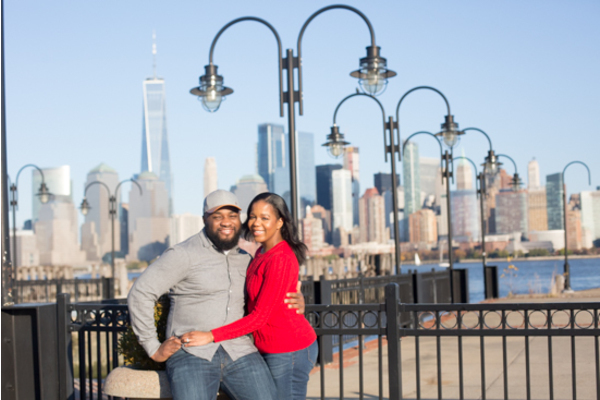 In particular, city skyscrapers, brick wall backdrops, the water, and more! 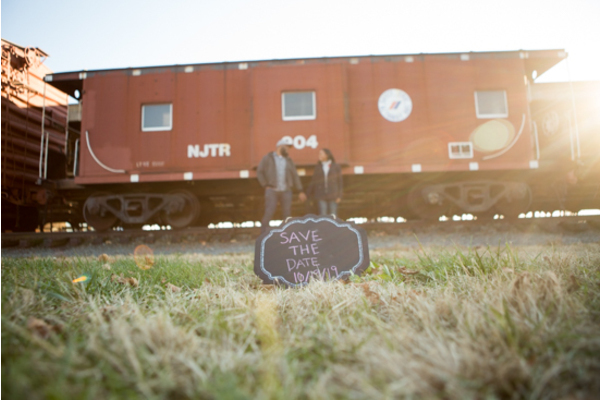 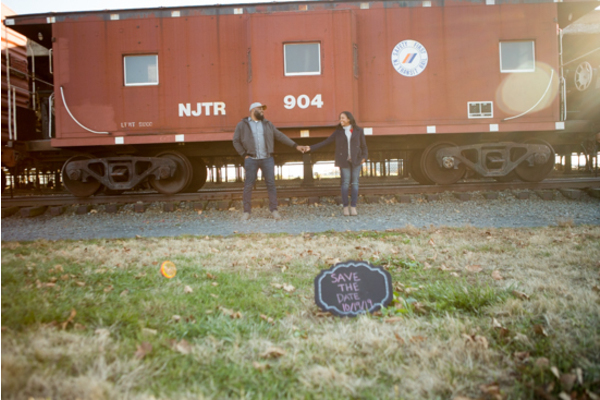 Ashley and Placide even brought along an adorable mini chalkboard sign that read their wedding date on it. 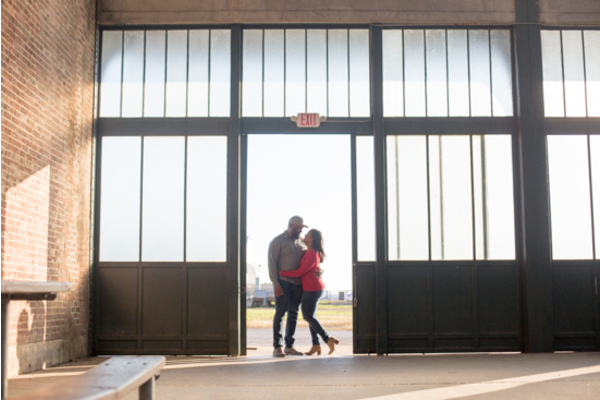 Overall, it was the most perfect photo session lighting paired with how perfect these two looked in all of them together! 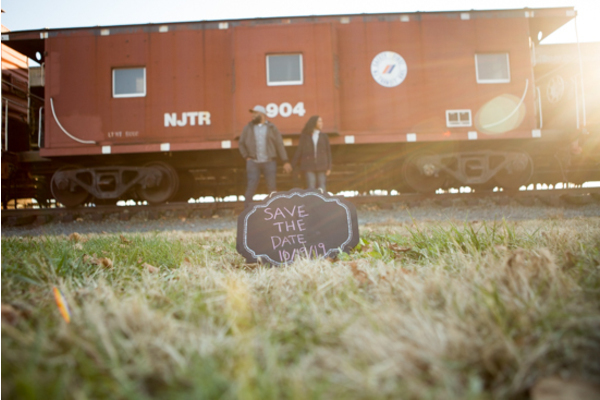 At their upcoming wedding, our NJ Wedding Videographer will join our NJ Wedding Photographer in capturing the memories from beginning to end. 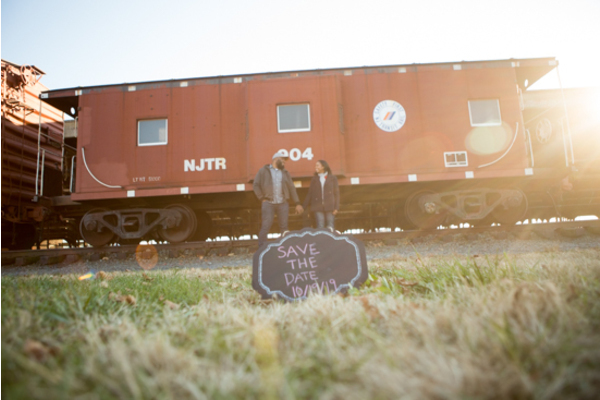 We cannot wait to see what they will create! 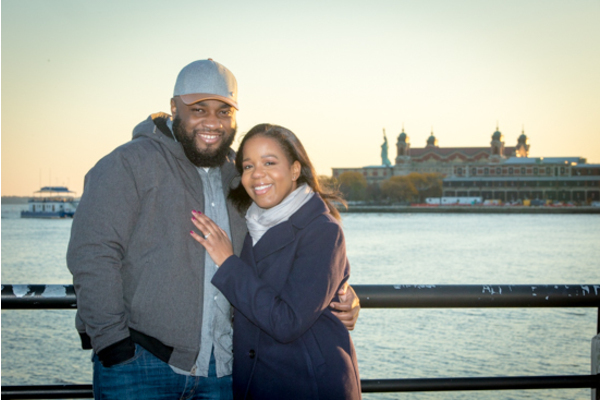 Congratulations, again, to Ashley and Placide. 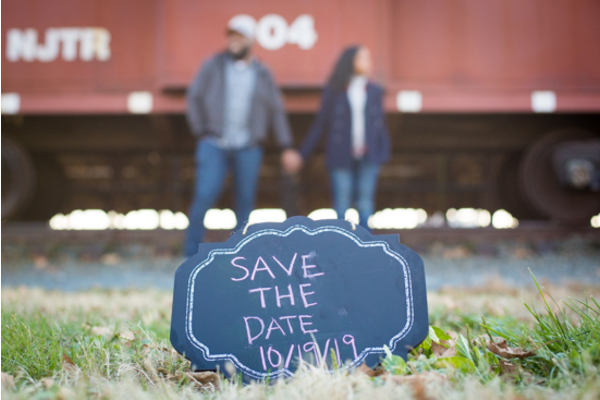 October will be here before we know it!